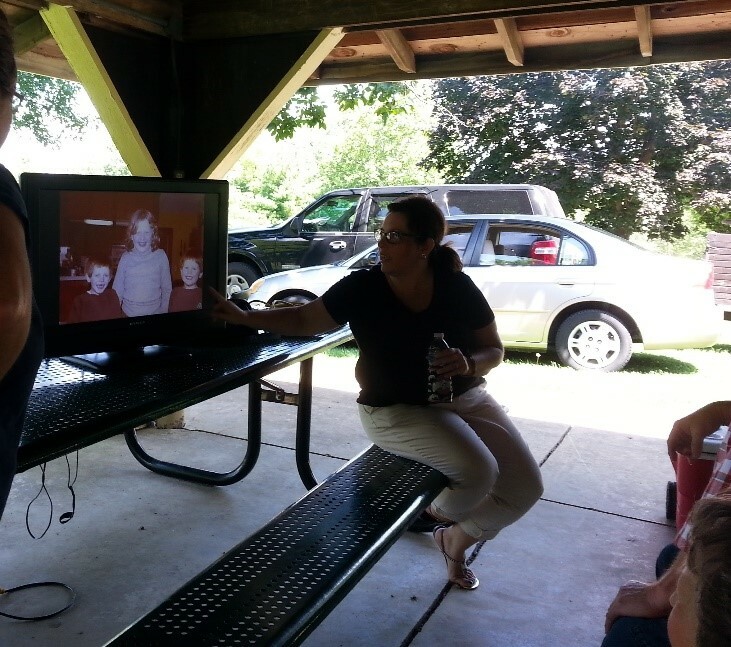 Our family reunion was last Saturday (8-8). I am glad to report that the reunion was a hit. We had some new faces and then the ‘usual’ yahoos were there too. 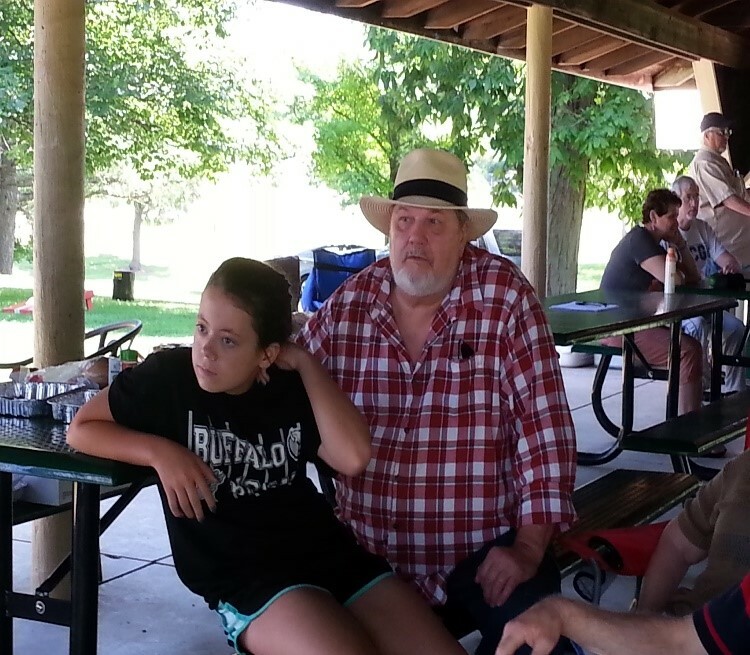 We had over 60 folks come for the festivities. It was a beautiful day. The temperature was in the low 80’s. The sun was shining, big white fluffy clouds in the sky and a cool breeze blowing. The weather was perfect. Just warm enough to break a sweat playing some games. 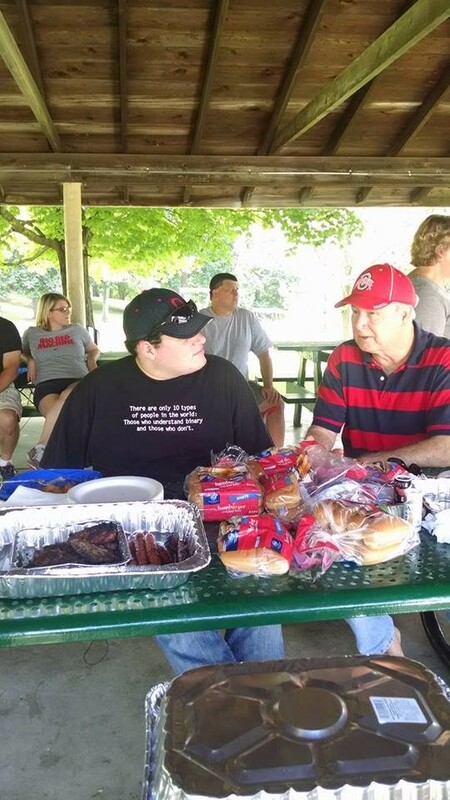 The reunion was held at our local city park. We have had many reunions here when I was a kid. 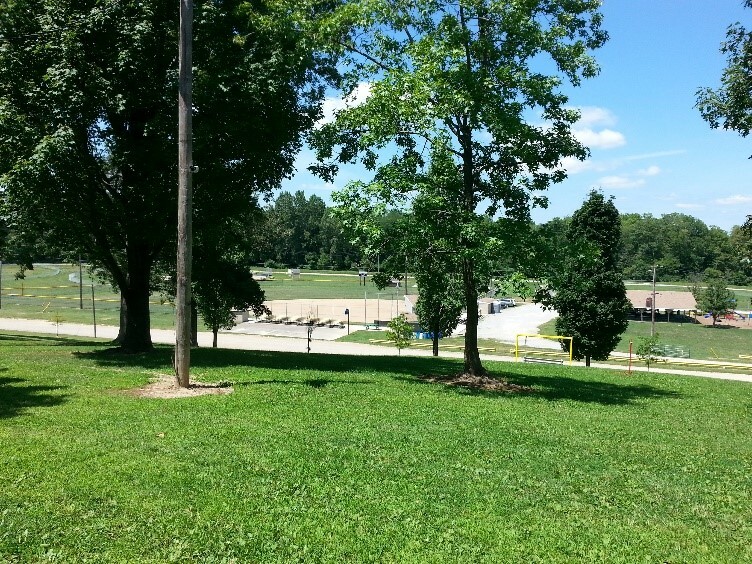 It’s a beautiful park with ball diamonds to play on, lots of playground equipment for the kids. Big shelter houses that seat 75-100 people. 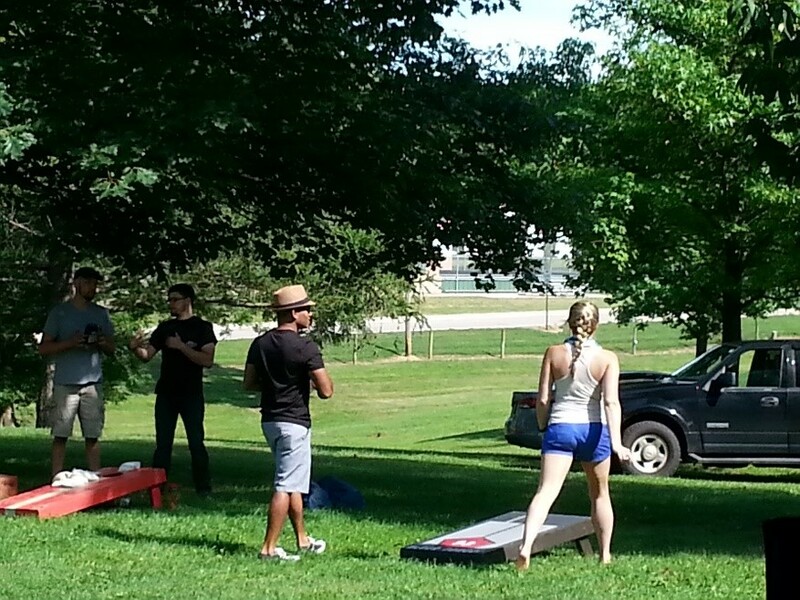 Our family likes to play a game called Corn Hole or Bean Bag Toss. It’s a fan came and we had a couple set up for everyone to play. Most of the second cousins played. Some of us first cousins are too old to break a sweat. 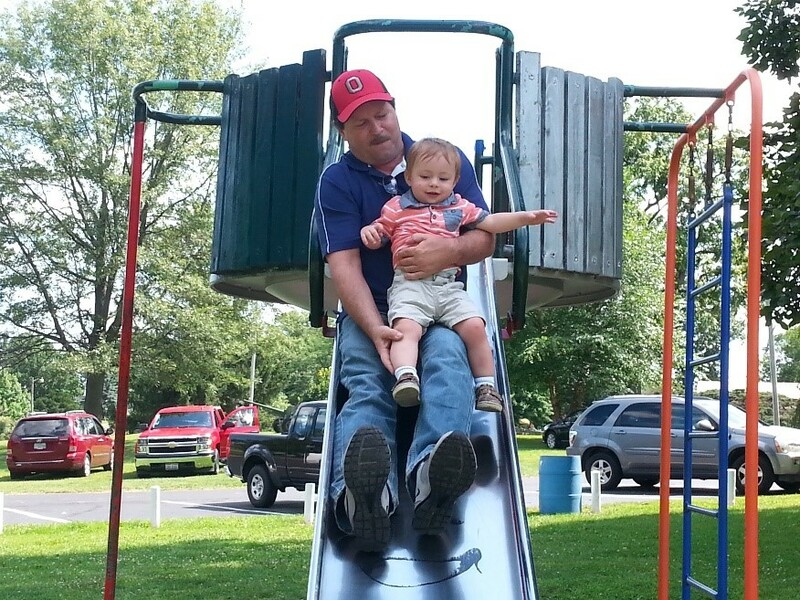 The little ones had fun playing on the playground equipment. Well, some of the older ones had fun playing too. The food was awesome. We had one of the cousins cook up hamburgers and hot dogs. Everyone that came brought a side dish. Sorry I don’t have any photos of the food spread. Take my word for it. It was all yummy. We had homemade potato salad, deviled eggs, chicken and noodles, baked beans, potato and cheese casserole, mac-n-cheese, pineapple upside down cake, banana pudding and so much more. All I can say is: we have some great cooks in this family. No one left hungry. There was lots of catching up at the reunion. Some of us have not seen each other in a long time. Having so many cousins connecting and reconnecting with each other was a wonderful sight to see and be a part of. Everyone sharing with the next person. Telling stories of the good old days. Sharing what has been going on in each of their lives. Making new memories with family. Can it get any better than that? One of the Aunts brought her genealogy research of the family with her. Very interesting stuff to go through. I found out I am in the 10th generation. Also found out that we are descendants of two Declaration of Independence signers: The first being John Hancock and the second is Roger Sherman. My son thought this was the coolest information of the day. He went around telling anyone that would listen. Love my kid and how much he loves this family and our history. Just for fun we asked the family to provide a quote that their parent said that was funny or something they still use today. Here are a couple of the quotes. “That would gag a maggot on a gut wagon”……my personal favorite. Now there’s some sound advice to everyone. Love my family’s humor too. It was a great day filled with laughter, love and lots of hugs. I am so thankful for everyone that helped make the reunion work so well. There were so many helpers that chipped in when needed. I am blessed beyond measure with my family. I can’t wait till next year. If you want to have a great reunion too, check out the “BOOKS” tab and get your book today to plan for your next reunion. Categories: Books, My life, Party, Reunion | Tags: annual family reunion, Being Grateful, finding joy, Happiness, Helpful tips, Joy, my life, Organizing, Party, playground equipment, reunion, simple things | Permalink. Reunion went off without a hitch. 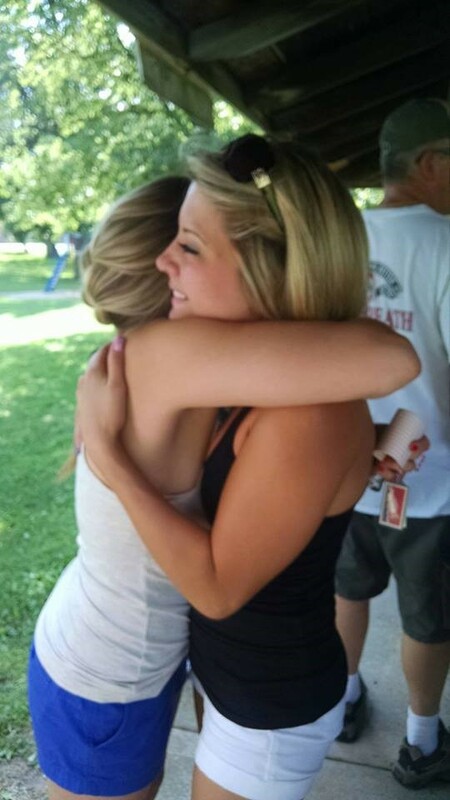 Loved seeing all the family. A great time was had by all. It was a hit. So thankful for everyone that pitched in to help make things go smoothly. Love my family. Shelly is right, it was a great time. It was good to see so many of the twentysomethings there!! Thanks, love that my family supports the blog. You are the best. Days like this are priceless! I am glad you all had a great time! By the by….I nominated you for The Premio Dardos Award! Please see my latest post for more info! Thank you so much for stopping by my blog. You are correct, time with family is priceless. Thank you so much for the nomination. I will nominate others shortly.